Words by Kevin Doocey on May 12, 2014 . It was somewhat frustrating to see Newcastle United concede two goals in the space of 10 ten minutes from almost identical dead-ball situations. Steven Gerrard who as we all know can most certainly cross a ball, delivered two pin-point beauties to the far post which Daniel Agger and indeed Daniel Sturridge made no mistake in sticking away. It marked a disappointing second half, indeed a 90 minutes which summed up our entire season: first half great, second half awful. 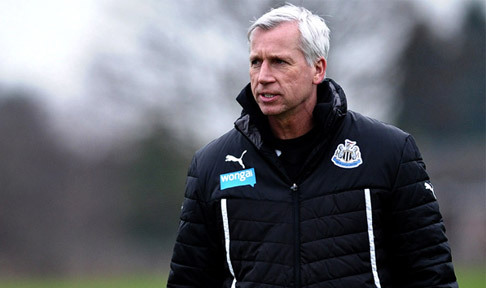 However despite our lack of organisation from free-kicks, from my travels I found a picture of Newcastle United’s corner tactics, and how Alan Pardew and his staff looked to set up his side when defending corner kicks. It makes for interesting reading, if only for the spelling mistakes that appear across the board quite literally. It is quite obvious that it is a man marking setup with Coloccini asked to keep tabs on Sturridge and so forth. 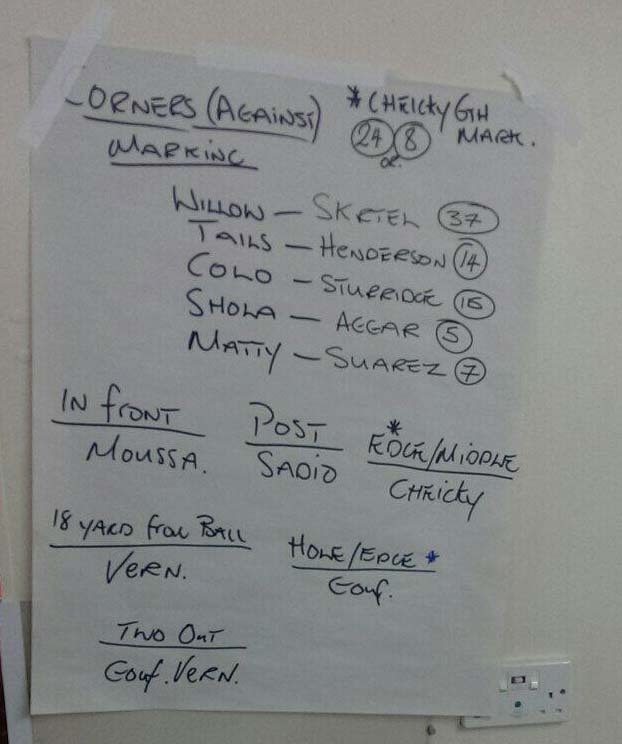 Interestingly whoever wrote the tactics, they managed to spell not only Vurnon Anita’s first name wrong with Vern but also Daniel Agger, with Aggar. I thought it was an interesting share to see how the side prepare to defend corners, even if there is little of real substance in the instructions. As you can see, Yoan Gouffran and Anita are both designated to less important roles, because of their lack of aerial ability one would guess. Who would have thought, eh?! Also, if you finished in the top 3 of Tyne Time’s Fantasy League, please come forth to claim your prize. I am waiting to hear from Philipp Kirchberger so if you are reading Philipp, get in touch before it is too late. About as useful as the Titanic's life boat schedule! do you really have to write down such basic information? It is rather slightly worrying that professional need reminding of the basic principles of defending corners, indeed.